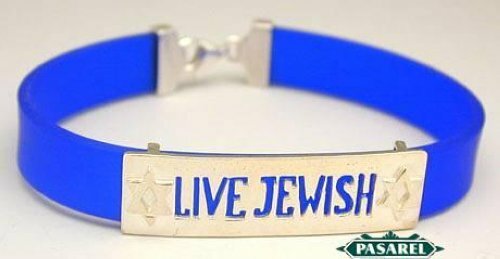 The center sterling silver plaque is pierced with “LIVE JEWISH” sided by two Stars of David (Magen David) symbols. 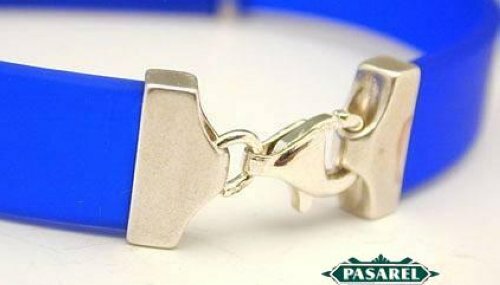 Closed with sterling silver clasp. Length – 19cm. / 7.5in. Width – 11mm. / 0.433in. Max thickness – 4mm. / 0.157in. Signed Billy (In Hebrew), 925 for sterling silver.